The Olympic Team upon arriving in Bahrain. Probable Starting XI (4-2-3-1): Toufic Ali (GK); Ahmad Salameh, Nadim Barghouthi, Mustafa Abu Kweik (c), Fayez Aslieh; Mohammed Al-Sadoody, Mahmoud Salah "Al-Koori"; Ali El-Khatib, Abdelhamid Abuhabeeb, Hicham Ali; Alaa Attieh OR Khaled Salem. The big day has arrived and today's Olympic Qualifier against Bahrain could be the start of a truly special run. Although Palestine is only here because of Thailand's suspension, it is worth nothing that the team and coaching staff have bided there time well. The squad has come a long way from that first qualifier in Bangkok, where they left the pitch feeling relieved at limiting the damage to a 1-0 loss. The home leg saw Palestine strut their stuff for 120 minutes but could not manage more than a 1-0 win, eventually losing 5-6 on penalties. Since their reprieve, however, the team has impressed in two friendlies while testing out a dozen new players. They played well in a 1-1 draw away to Lebanon but the lack of cold-blooded finishing had fans worried. Last week's stunning 3-0 result over a side featuring the best youngsters of Serie C/D has done wonders for confidence. Khaled Salem has found his scoring boots, Abdelhamid Abuhabeeb is pulling the strings in midfield, and the defensive duo of Barghouthi and Abu Kweik were at their imperious best. 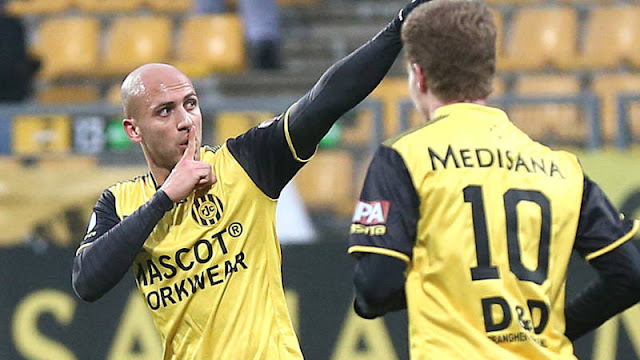 Add to the fact that this was accomplished without four Gazan players and Malmö FF winger Hicham Ali and you can see why confidence is at an all-time high. The team will lean heavily on the experience of Al-Huti and Al-Hayyam who were both with the senior team in Qatar during the Asian Cup. There is an element of the unknown to this team as manager Mokhtar "The Dinosaur" Al-Talili has called up seven new players to the fold. There is a wide variety of options as far as a starting line-up is concerned. In this particular area The Dinosaur is better than his senior team counterpart, Mousa Bezaz, who seems to devote little time to unearthing and developing new players. Alaa Attieh: 24 goals in as many games with Shajaeeya has seen the 20-year old attract the attention of Wehdat (JOR) and Al-Ahly (EGY). Attieh is a speed demon who thrives at his club despite the lack of good service he runs down defenders and loose balls much like the Mexican Javier Hernandez. Was selected to face Thailand but was denied entry into the West Bank by Israel. Is saying all the right things despite the intense speculation surrounding his future ("I don't care if I am selected I just want to win this game" and "My number one priority right now is the Olympic Team my decision regarding the future will have to wait"). Thaer Al-Bana: Merkaz Tulkarem midfielder played sparingly as a substitute in the Lega Pro friendly. Has admitted that the 3-0 win and a competent but not extraordinary performance helped punch his ticket to Manama. 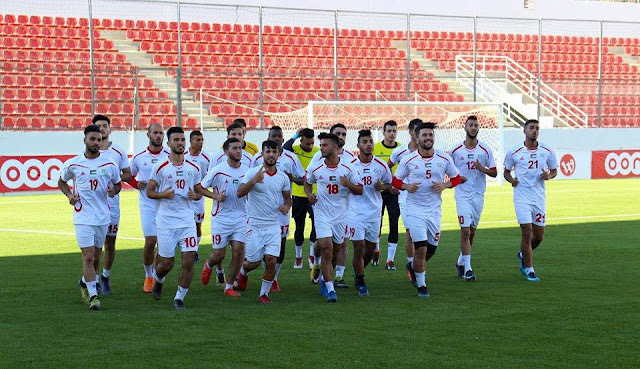 Bashar Abu Nijmeh: One of the few bright spots in a miserable season for Shabab Al-Khaleel as a winger will probably struggle to see playing time ahead of the Hicham Ali and Ali El-Khabib. 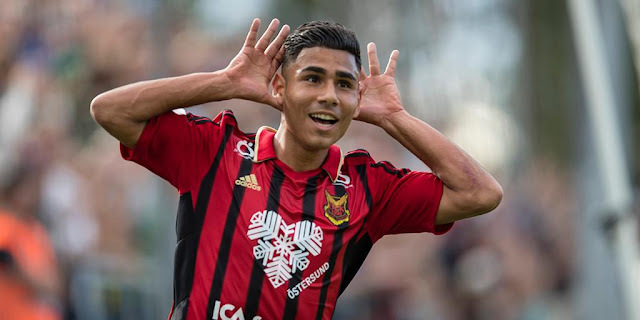 The like for like replacement for the young Amjad Zidan who was dropped from the squad. Hamdan Abu Awad: Plays for Al-Bireh, a team that leans heavily on young talent. As a right winger will probably only see action as a substitute. Anas El-Helu: Picked up a heel injury in training yesterday and will most likely not be able to play in tomorrow's game. Was voted as the best midfielder in the Gazan League this season. Hazem El-Reikhawy: The modern day Lazarus; assumed dead after an Israeli rocket attack during the war on Gaza, he was left in a morgue fridge until a mother looking for her son noticed that the body laid out in front of her was still breathing. He managed a full recovery despite pieces of shrapnel remaining lodged in his leg. El-Reikhawy started the Lega Pro friendly alongside Khaled Salem but might be dropped in favor of the faster Alaa Attieh or an extra midfielder.